We have seen the financial outcome of the Real Estate crash in 2008. What sometimes we overlook are the urban voids left by unfinished buildings. That is the case of the Filene’s development in downtown Boston which construction was halted in November 2008. Höweler + Yoon Architecture and Squared Design Lab think this as an opportunity to explore new ways of producing architecture. 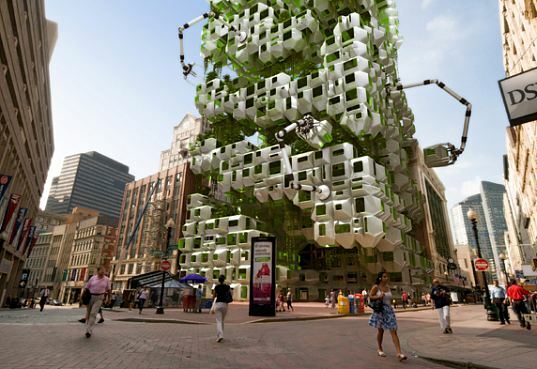 They have designed a prefabricated ‘Eco-Pod’ that proposes to stimulate the economy and the ecology of downtown Boston. 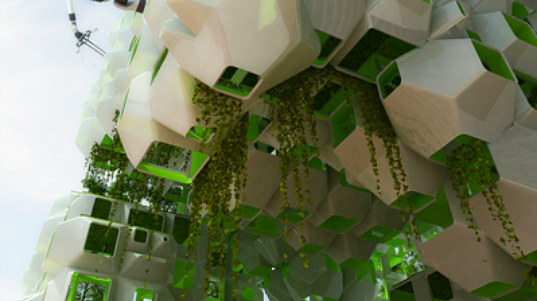 “The pods serve as bio-fuel sources and as micro-incubators for research”. 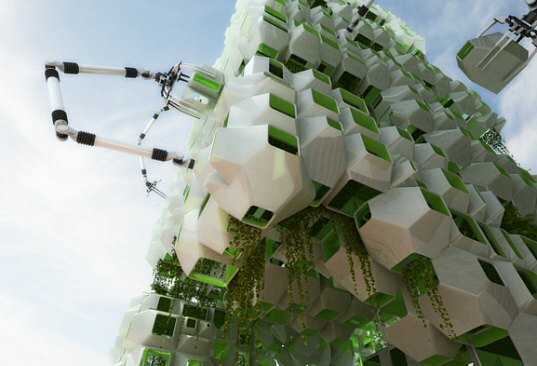 The idea is that these pods will generate enough energy to control a series of robotic arms that will continue the construction of the building – once it is completed, the pods could be transported to other sites to build more structures.